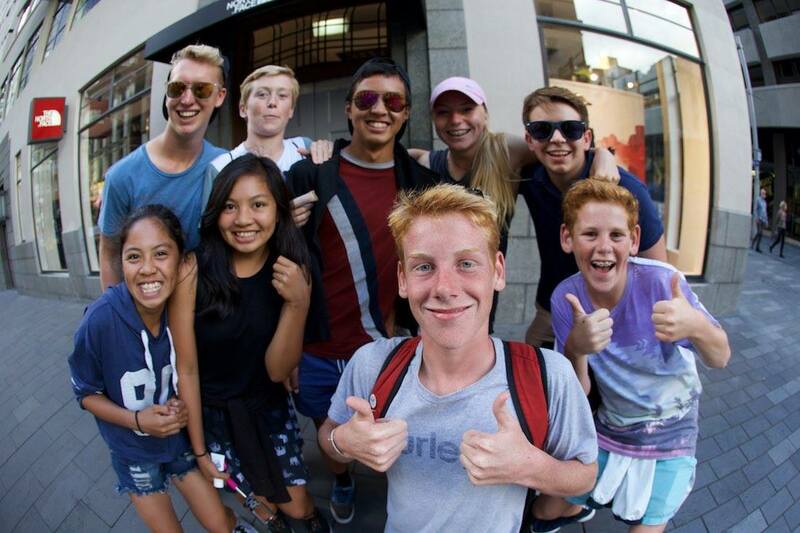 The junior section of the North Harbour Triathlon Club is a friendly group of young athletes aged from 12 to 19. 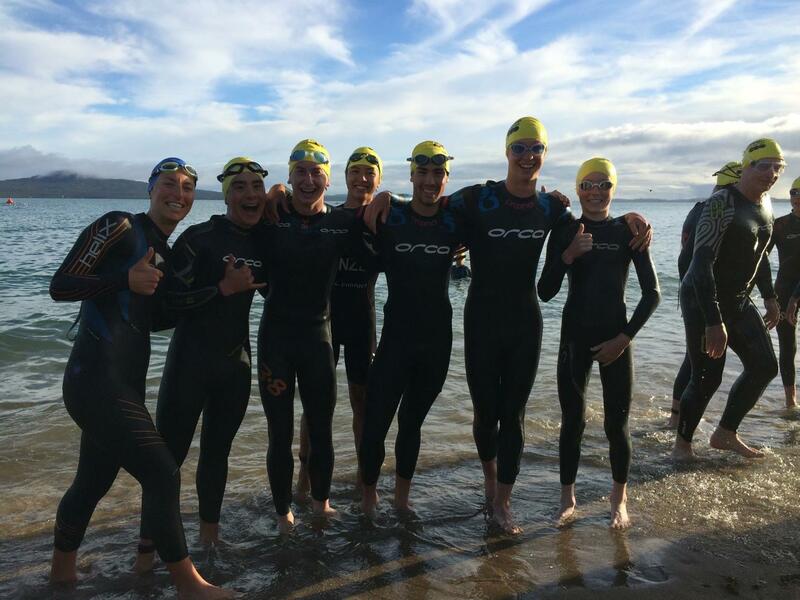 This group is supported by parents and Triathlon NZ accredited coaches with the aim of providing opportunities for young athletes who want to continue the sport beyond the ‘WeetBix’ events. This brings together youngsters with a common interest, generating a genuinely supportive atmosphere where lasting friendships are made. Anyone observing the brick sessions on Saturday mornings will be impressed by the relaxed camaraderie and banter that makes this a special group of kids. But don’t be fooled; some of these juniors are also fiercely competitive and especially love giving their senior counterparts a run for their money in the Aquathon series. Our junior programme over the last month has been growing with all the kids building up their confidence and technical ability. There is some really promising talent in the ranks with some outstanding swimmers and runners in the mix. In the new year our focus will be to condition and strengthen their weaker disciplines ready to race at Auckland Secondary School Champs in early March at Maraetai. For many this will be their first official Triathlon, so the aim will be to have fun!! We will be taking a break during January (2017) as most of the juniors will be on holiday. We hope to start back with Saturday morning training on the 4th of February. Spread the word if you have any keen youngsters that want to join us in the new year!! Of course, juniors are welcome to train with the seniors during January. OUR NEW LOCATION - Narrow Neck Beach Carpark A reminder that our Saturday training is at Narrowneck Beach from now on! Meet at 9.50 am for a 10.00 am start. WEEKLY FOCUS - Race Conditioning / Transition Training With National Secondary School Champs in less than a month's time, we will be focusing on speed work for the next few weeks. As Nationals is in Whanganui, we will be ROAD-TRIPPING down!! I'll get everything organised, so we can go as a team. Costs and accommodation will be sorted closer to the time. Congratulations to our juniors who raced in Auckland Champs on Wednesday. A full programme is available to juniors (age 11-19). These sessions are only available to members and are subsidised by NHTC. To participate, complete the registration form (Click Here) and bring it to one of the sessions below. Junior members are expected to be familiar with the NHTC safety measures and the NZ Transport Agency Cycle Code. 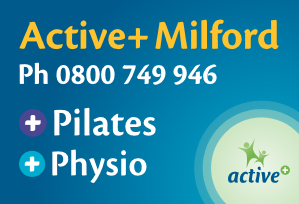 Talk to us at training about getting a monthly or season pass.